Forecast for the race back was for rain and a strong Northerly decreasing / veering East later which was not a pleasant prospect and it turned out to be correct. Minor panic before the start with the main twisted so only just ready in time as the gun went. Sail plan was one reef and the number 4 which was just right for the windy conditions. First 4 hours were pretty full on but as forecast the wind then started to decrease and go more Easterly which improved the conditions greatly. Changed up to the number one as the breeze eased and after the clouds cleared away had a pleasant sunny trip back. 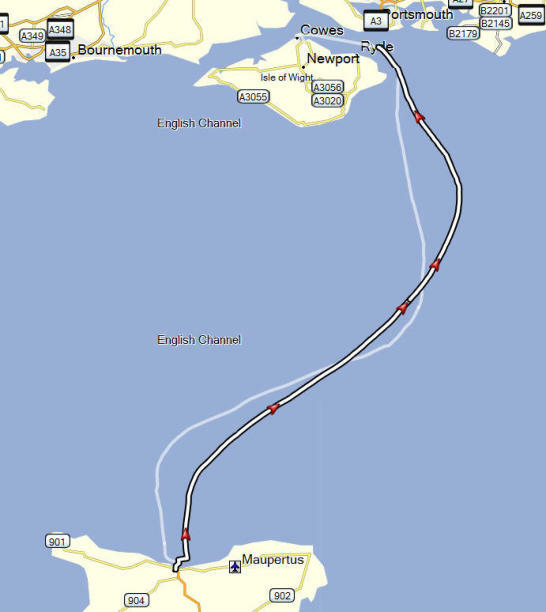 Got the new asymmetric kite up about ten miles off Bembridge and gained at least a knot and half over the barber hauled number one. Changed to the normal kite after Bembridge and held it to the finish with a few jibes for good measure. Quite surprised to see Xara motoring back up the Solent as we approached Snowden as we expected them to be long gone as they would have gone well in the heavy stuff. However, more surprised when we got the results to see Raffles on top spot as they must have done really well to stay with Xara. 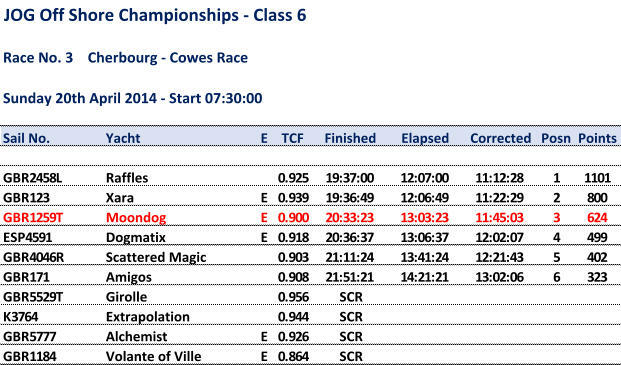 Decent third place and back in time for a curry in Cowes so not too bad after all.